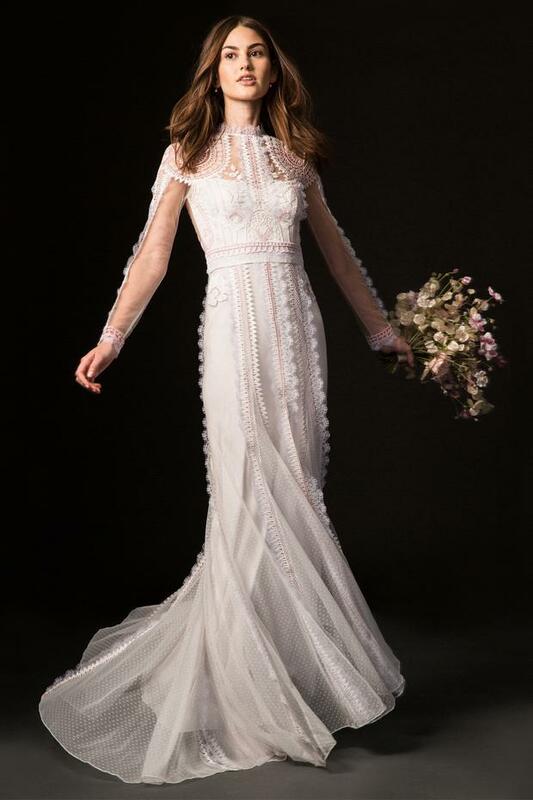 The London-based designer has added to her range of luxury lace wedding gowns with a perfect palette of white, ivory and pinks, all in-keeping with the ethereal world of 'the Temperley bride'. “The Willow collection offers a bride the dresses of her dreams whilst perfectly complimenting the existing bridal collection. 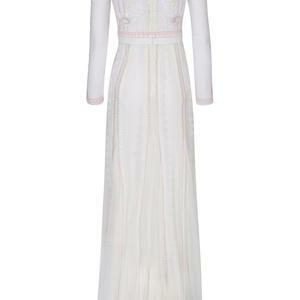 Bohemian decadence... to styles to party till dawn in…” says Alice. 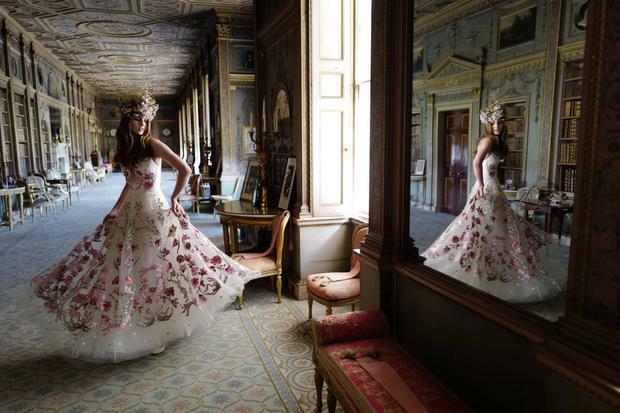 "Fantasy and femininity" are the order of the day with translucent blush tulle and skirts with soft silk godets. Drama, the designer notes, is achieved with volume and trains, while sleeker, skin-skimming silhouettes form from sensuous satin backed crepe and chiffons. 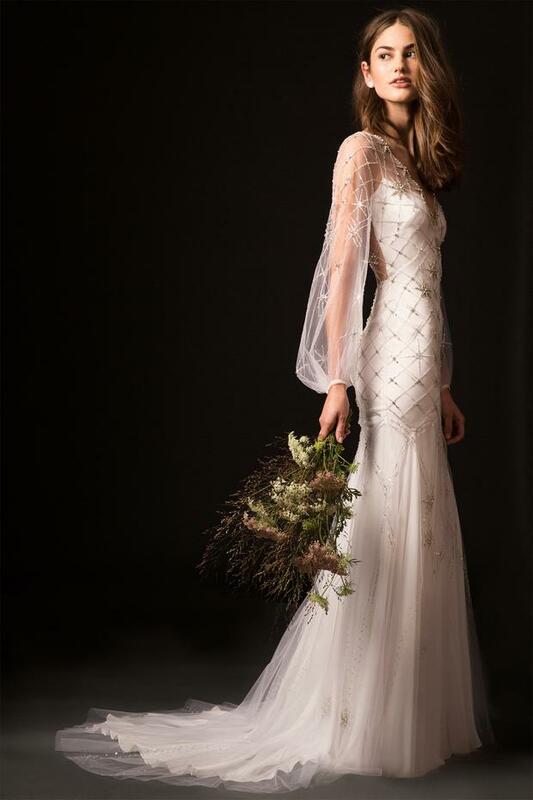 The designer drew inspiration from star constellations (indeed one of the gowns, the aptly named 'Celeste', displays her playful take on the starry starry night with beautiful luminous detailing on elegant sheer bishop sleeves) and from botanical drawings, which she adds to 'Winnie's' through falling embroidered leaves reminiscent of a romantic autumnal stroll. 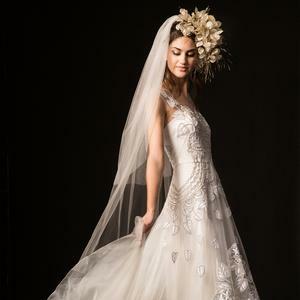 Ccrystal chains, glass beads and oval clasped stones are used throughout, while scalloped embroideries contour the bodice, waist and hips and all over shimmering sequins offer a playful option for the statement bride.